Lights On For Safety On Tuesday, November 27, 2001, Japanese Police officials met with Mr. Charles Roberts, Marine Corps Base Safety Director, to discuss joint Japanese/American traffic safety initiatives. Read More! Ah, Christmas -- my favorite time of year, especially in America.. Read More! Our region includes 12 different cities, towns, and villages, each region working together to promote economic development and to publicize the Okinawa Marathon. We hope that the annual Okinawa Marathon will promote international and intercultural exchange. Read More! The 18th Services 2001 Holiday Bake-Off Contest held recently at Kadena Air Base was a resounding success. Entries were judged in one of three categories: cakes and pies; cookies, candy and bars; and breads. Read More! Michael Angel, a civilian teacher at a local juku (a special school reinforcing basic subjects that is attended by both youngsters and adults), was recently amazed by how little both young adult and adult students know about basic first aid. His shock at this state of affairs prompted a decision on his part to try and remedy the situation. Read More! Haiku is sometimes viewed merely as a short, simple poem, and many people don’t take it seriously, just like some individuals don’t take much of the world’s greatest literature seriously. Much of this is due to the fact that haiku is often portrayed as an ancient, dead art form. Read More! 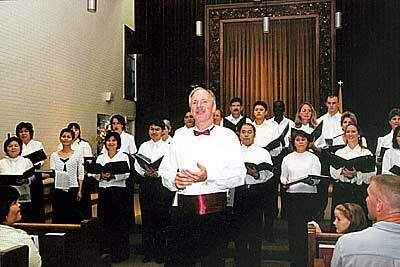 Get into the holiday spirit while listening to some acapella Christmas carols sung by the Okinawa International Choir. The group will perform on Friday, December 21 on the second floor of the Plaza House Shopping Center. Read More! The Dallas Cowboy Cheerleaders are making their way back to Okinawa just in time for Christmas. On Christmas Day, 10 Dallas Cowboy Cheerleaders will serve hungry troops a holiday meal at the Johnson Dining Facility, building 722, on Kadena Air Base from noon to 12:45 p. Read More! 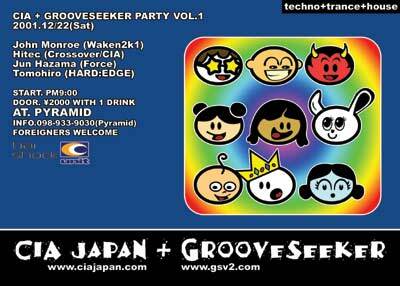 It's time for another big GrooveSeeker techno event, but this time it will be held at one of Okinawa's top nightclubs, Pyramid. 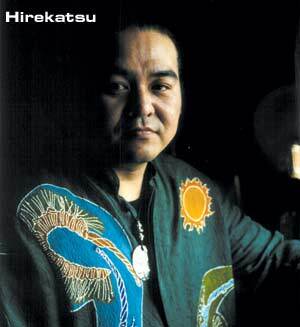 Back in June, I received an email from DJ Hitec, who is with mainland Japan's well-known Crossover party and a member of CIA Japan, asking me for some information on Okinawa's club scene and stating that he'd like to work together on a Club Information Agency (CIA) Japan and GrooveSeeker party. Read More! It's time again for another spectacular event at Dance Club Matsushita! On Dec. 28 Mongoloid: Asian Future Music 2001 will kick off at 9:00 p. Read More! 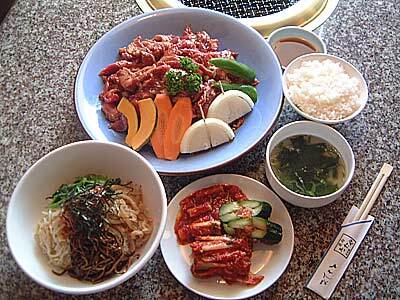 A few months ago, I pledged my love to beef and the almighty “yakiniku” restaurant in a review published in this paper. Time passed, and now it was time to find another great place to eat my favorite. Read More!